In Haitian folklore, the term zombi means “spirit of the dead.” They have a Voodoo priest known as Bokor who practices black magic and sorcery in order to resurrect the dead. In Haitian folklore, the term zombi means “spirit of the dead.” They have a Voodoo priest known as Bokor who practices black magic and sorcery in order to resurrect the dead. 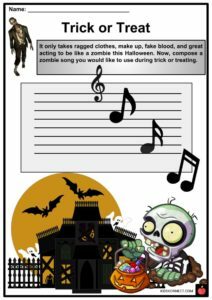 In popular culture, zombies are a sign of the apocalypse or the end of the world, usually caused by scientific failure. 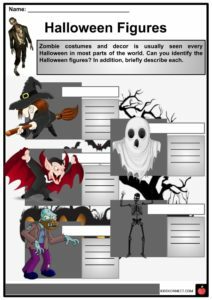 See the fact file below for more information on the zombies or alternatively, you can download our 21-page Zombie worksheet pack to utilise within the classroom or home environment. The most common origin of the word zombie came from the Haitian Creole zonbi, which depicts the reanimation of a corpse through black magic. In West Africa, the Congo words nzambi and zumbi means god and fetish respectively. In 1903, the Kimbundu-Portuguese dictionary defined nzumbi as a spirit who wanders the earth to torment the living. According to Time Magazine, the term zombi was introduced to American speech in 1929 through the book The Magic Island by W.B Seabrook, who explored the voodoo culture in Haiti. In European folklore, zombies have a literary heritage from the works of Richard Matheson and Mary Shelley. In Haitian rural folklore, zombies are dead people revived through the act of sorcery ritualized by a bokor or witch. In voodoo religion, the bokor is opposed by a priest or priestess, known as hougan or mambo. The zombie astral is a type of incorporeal zombie in which the spirit is captured in a specialized bottle and sold to clients for luck and success. A zombie will be the bokor’s slave until God reclaims the soul. 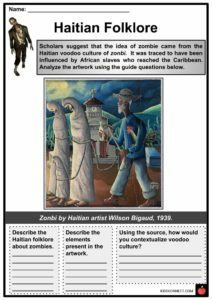 Many believed that zombie traditions were brought by enslaved Africans to Haiti. They thought that the voodoo deity would gather the dead and bring them to afterlife, and in cases of extreme offenses, they will be slaves even after death. 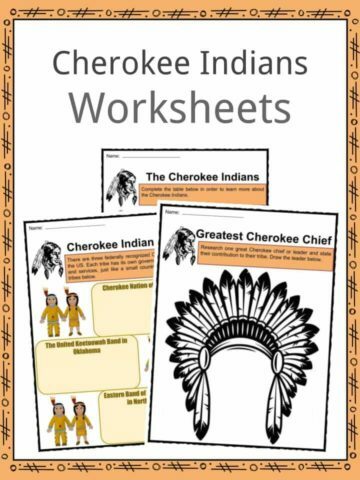 Other scholars supported the idea that the zombie tradition is connected to African culture as detailed in the account of monk Ramon Pane regarding the Taino people during the conquest of Christopher Columbus in Hispaniola. In South African folklore, a witch can zombify a person by possessing the victim’s body for forced labor. The 20th century imagery of zombies is portrayed as a scientific process rather than ritualistic. Moreover, resurrection from the dead makes one more violent than their living selves. Since the 1930s, zombies have been depicted in films like the White Zombie in 1932. Night of the Living Dead, directed by George A. Romero in 1968, was intertwined with consumer culture in the U.S. Romero created a hybrid of zombie and vampire. 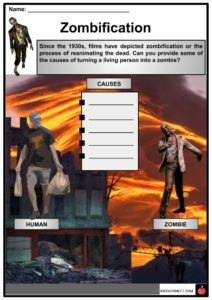 In 1981, the idea of mutagenic gas as the source of a zombie contagion was depicted in the film Hell of the Living Dead and Return of the Living Dead in 1985. Moreover, brain hungry zombies were introduced in the Return of the Living Dead. In 1996, Resident Evil, a zombie themed video game, was released and sold over 24 million copies worldwide. Japanese zombie films including Versus, Junk, and Wild Zero also emerged. In 2002, 2004, 2007, 2010, 2012, and 2016, Resident Evil films achieved box-office success. Furthermore, films like 28 Days Later (2002), Dawn of the Dead Remake (2004), and 28 Weeks Later (2007) were also released. The archetype of the zombie apocalypse is often associated with the end of civilized society. Survivors are depicted scavenging for food and looking for the cure. 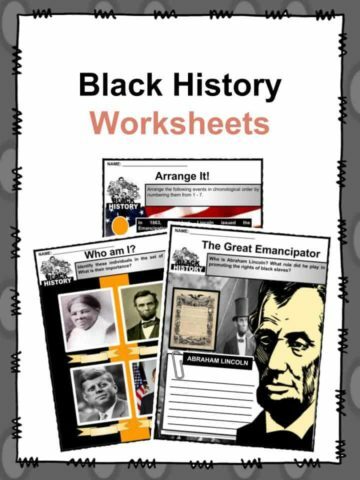 Zombies are infected with a virus or bacteria caused by failed scientific experiments. In 2009, PopCap Games’ Plants vs. Zombie became an instant hit. 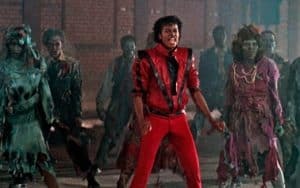 In 1983, Michael Jackson released his music video for Thriller. 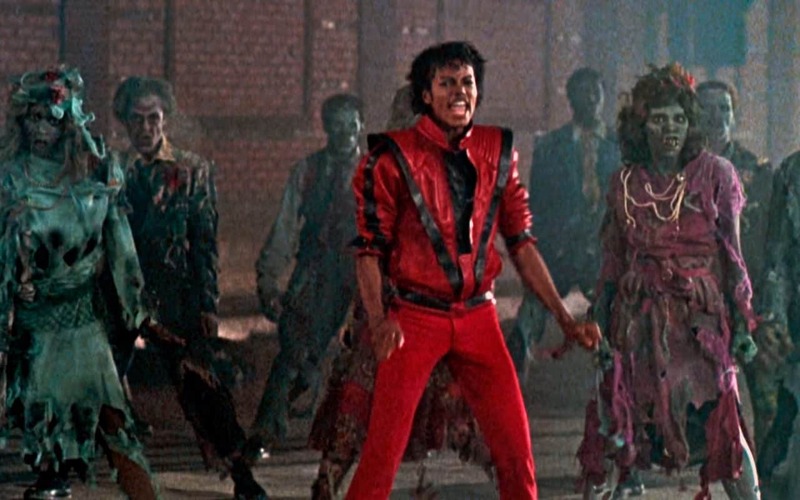 The king of pop dances with a horde of zombies. In addition, one of the band The Cranberries’ famous songs was entitled Zombie. In 2006, the book World War Z was one of New York Times’ bestselling novels. In 2009, Jane Austen’s classic Pride and Prejudice was mashed up with a zombie epidemic story by Seth Grahame-Smith in his Pride, Prejudice, and Zombies. Sherpas are the main guides to reach the summit. They are highly regarded as elite mountaineers and experts in their local area. They are valuable partners to climbers of the Himalayan region, serving as guides at the extreme altitudes of the peaks and passes in the region, especially to climb Mount Everest. In the Tibetan language, Shar Pa means “people who live in the east,” and over time this descriptive term has come to identify the Sherpa community. Sherpas treat the Himalayas as sacred – building Buddhist monasteries at their base, placing prayer flags on the slopes, and establishing sanctuaries for the wildlife of the valleys that included musk deer, monal pheasant, and Himalayan partridge. The Sherpa’s great courtesy is that a visitor must not leave the house unfed or without a drink. Guests are entertained with Tibetan tea or beer. Visitors of high standing will be served a snack, or even a complete meal. Unlike some communities in South Asia, guests in Sherpa homes have complete access to both the kitchen and the area set aside for worship. Their reputation as excellent porters and guides on mountain-climbing and trekking expeditions has brought them a new source of income and, for some Sherpas, a comfortable living. According to Max Brooks, a researcher on the living dead, a zombie usually has milky-white eyes with obscured pupils. 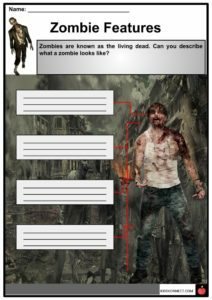 A zombie has lost all of its regenerative abilities leaving wounds and deterioration. Due to limited brain function, muscle control is limited, resulting in an awkward amble. The posture of a zombie worsens depending on its exposure to the elements. Most zombies are depicted preying on humans and can only be killed by a headshot. The zombie virus is usually transferred through body fluids like biting, while sometimes it can be airborne. Zombies do not exist in the real world, but is a major part of popular culture, especially in the West. Zombie costumes are very popular during Halloween. 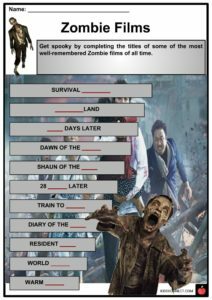 Despite no evidence of existing zombies, a global survey of safe zones in case of a zombie outbreak is listed Australia on the top followed by Canada, United States, Russia, and Kazakhstan. 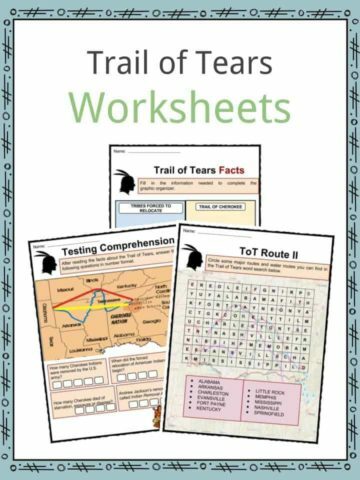 The countries are identified based on their location, topography, population, weapon access, and military preparedness. This is a fantastic bundle which includes everything you need to know about zombies across 21 in-depth pages. 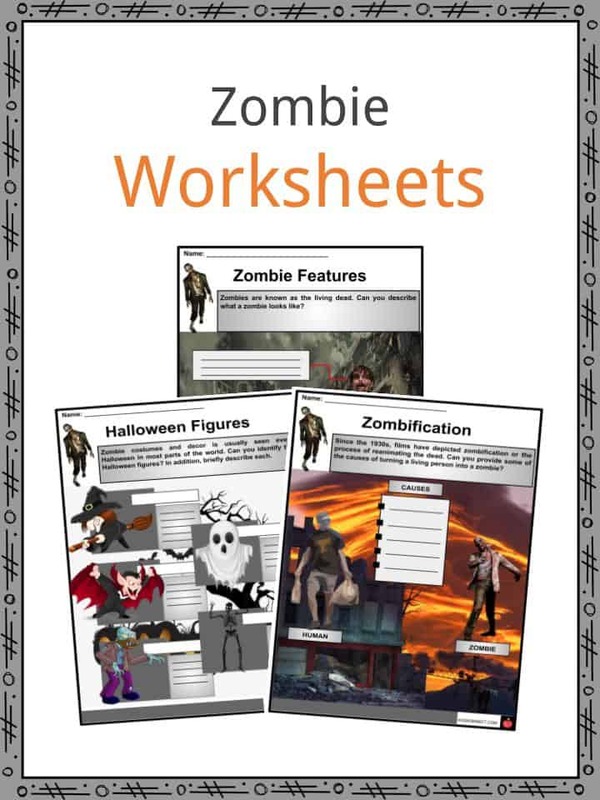 These are ready-to-use Zombie worksheets that are perfect for teaching students about the zombies. In Haitian folklore, the term zombi means “spirit of the dead.” They have a Voodoo priest known as Bokor who practices black magic and sorcery in order to resurrect the dead. In popular culture, zombies are a sign of the apocalypse or the end of the world, usually caused by scientific failure.